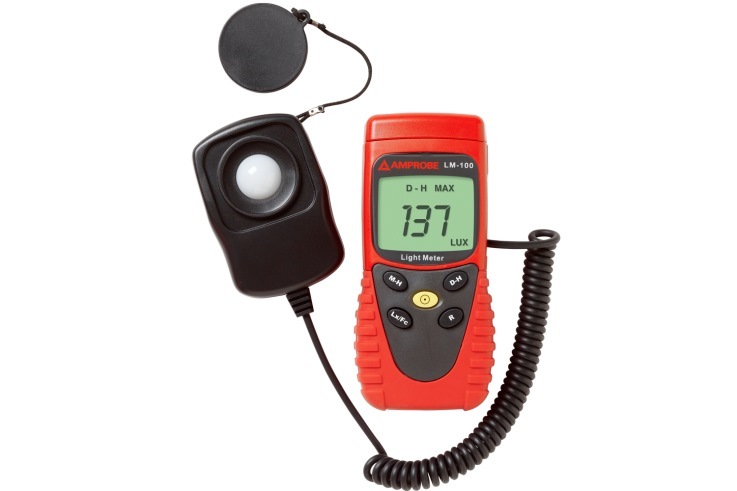 The Amprobe LM-120 light meter measures the visible light from fluorescent, metal halide, high-pressure sodium or incandescent sources. 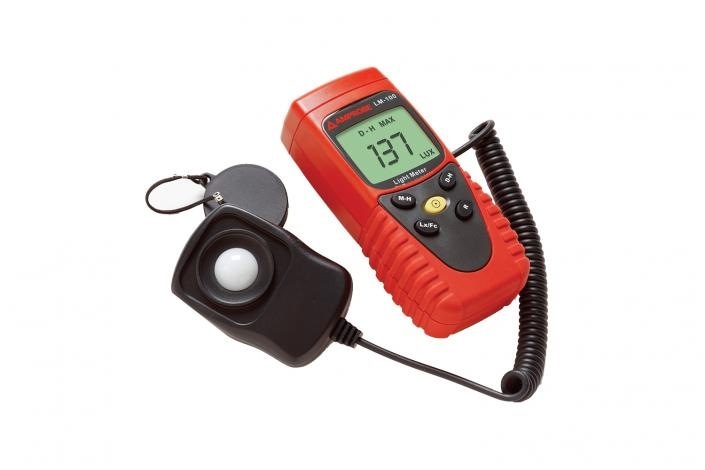 It is a portable, easy-to-use digital light meter designed for simple one-hand operation reading in Lumen (lux) or foot candle (fc) units. 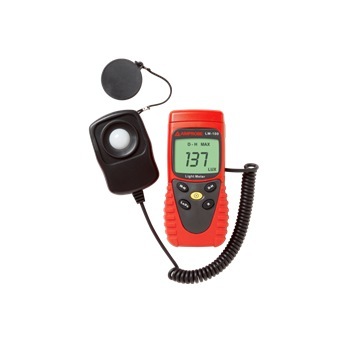 The LM-120 measures a wide range of light up to 20,000 fc or 200,000 lux with an accurate, high resolution of 0.01 fc/lux. 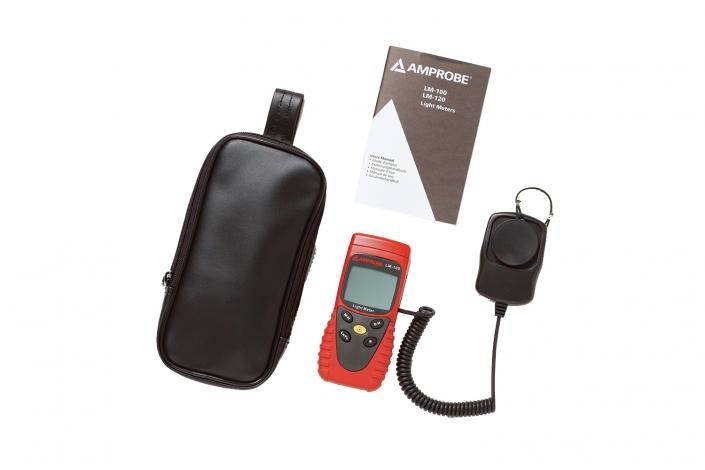 This unit is Auto-ranging plus manual ranging with ability to Zero out the reading before taking a measurement.